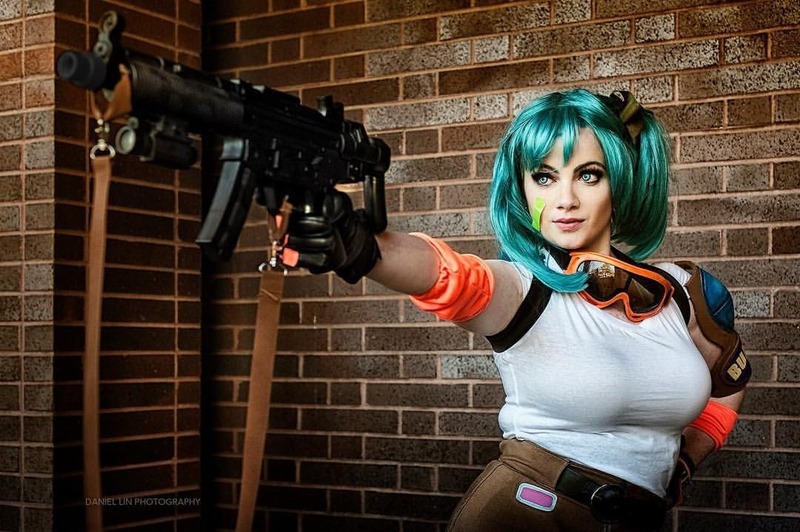 Since starting her first costume almost 3 years ago, Elena Blueskies Cosplay is a relative newcomer in the cosplay community, but you’d have a hard time believing that. In such a short span of time, she has created a very impressive body of work and all at a high level of quality. She embodies the characters that she creates with poises and natural talent. 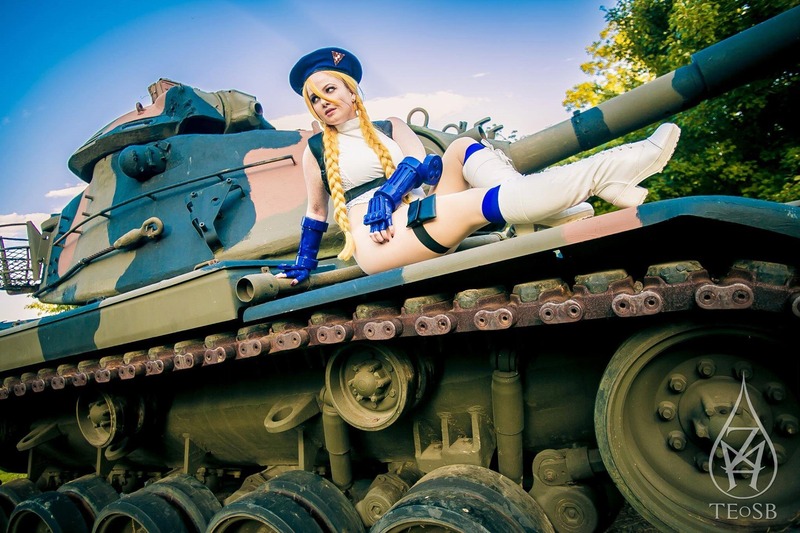 Luckily for us, Elena took time out of her schedule to answer a few questions about her interests and cosplaying. Below is just a sample of her amazing and prolific work. Definitely check out her Facebook page for more great works! I have always had a love of creating costumes, but growing up in rural Wisconsin, I didn’t know about cosplay. 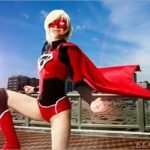 When I moved to NYC in 2010, I discovered the growing comic con and cosplay community. I finally got around to getting tickets to NYCC in 2013 and made Mortal Kombat costumes for my friend and I – we attended for just one day and had a great time! Part of the fun of cosplay for me was being able to show my fandoms and skills in a really understandable way. As a community, there’s a lot of encouragement to learn new techniques and keep pushing yourself. It’s usually a very positive influence on me. 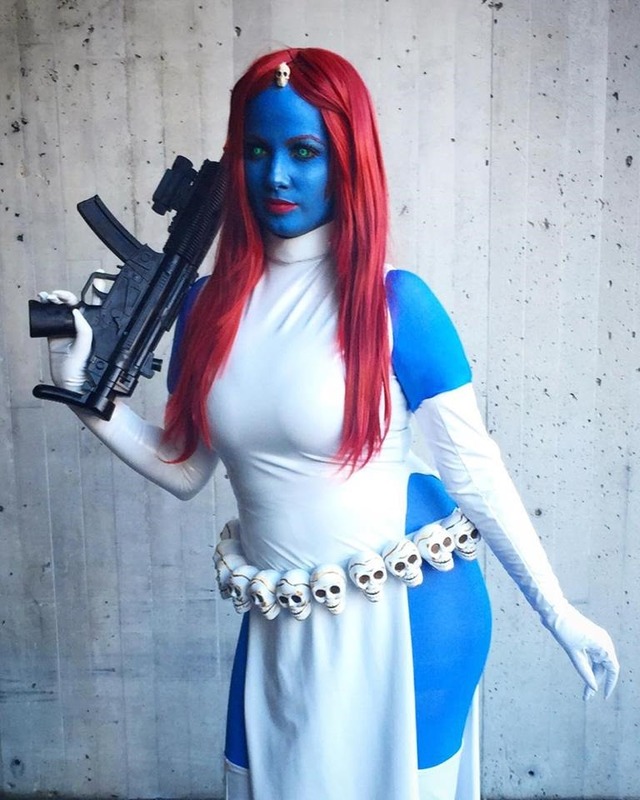 Do you make all of your own costumes? 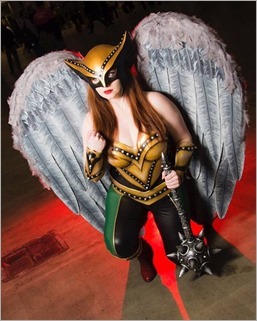 My most challenging so far has been Hawkgirl. I am definitely a seamstress more than an armor or propmaker, so a lot of Hawkgirl was outside my comfort zone. Plus…wings! I am definitely a fan of comics and video games, but I also enjoy some older anime. 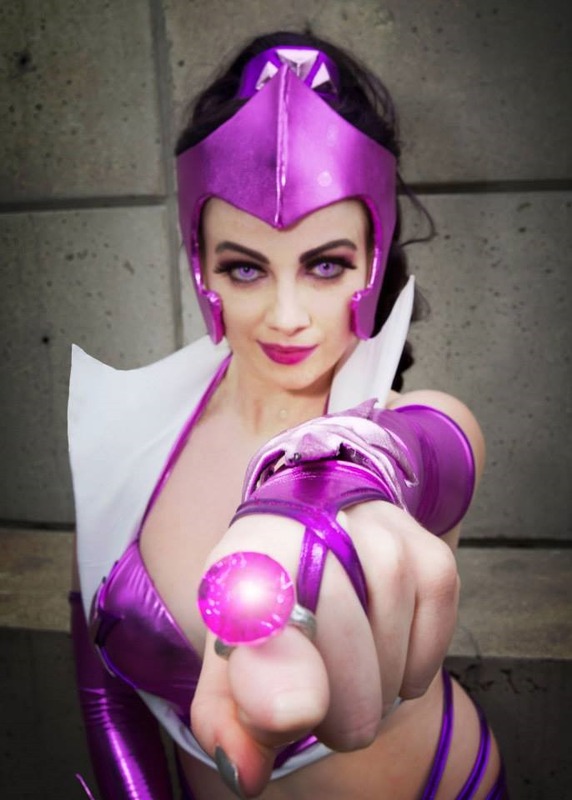 My favorites to cosplay are Street Fighter and X-Men! Having Star Wars and Sailor Moon school supplies probably afforded me the title of “geek” when I was younger, but I don’t think these labels really exist anymore. I like what I like! It can be hard for people to wrap their heads around sometimes, but everyone generally thinks it’s pretty cool once they see what it’s all about. 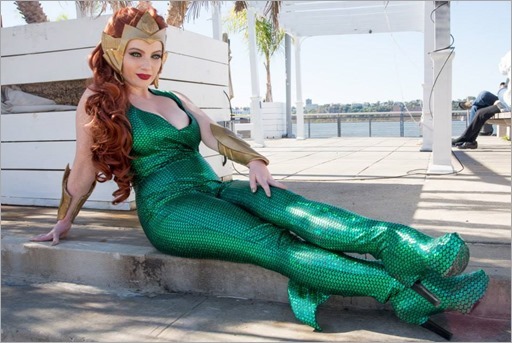 Do you attend many conventions in costume? I attend all conventions in costume! I can’t pick out one specific moment, but meeting new people and seeing friends is the highlight of any convention. Absolutely. It’s particularly important for female cosplayers to stay alert and aware at conventions! 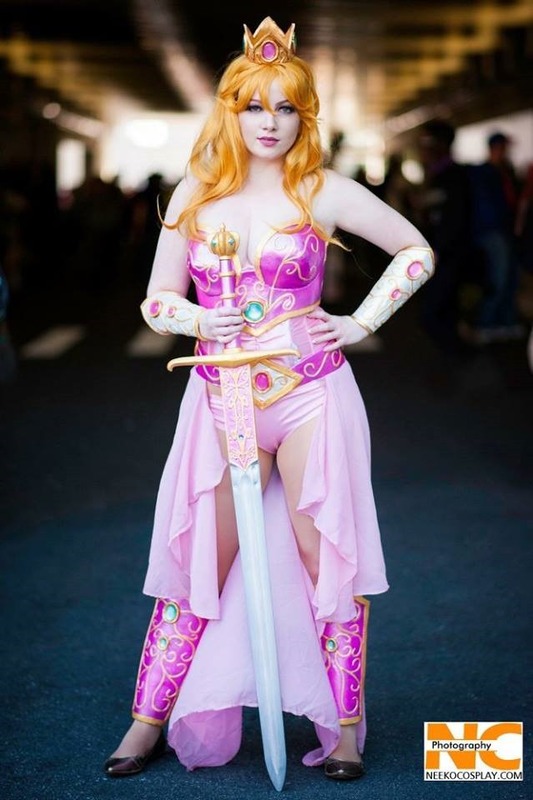 There’s pretty much no cosplayer that I don’t admire! There are so many kind, talented cosplayers out there. Start small! Make sure you’re comfortable with what you’re wearing. Test it all out ahead of time. I’m currently working on a few new things for NYCC in October. 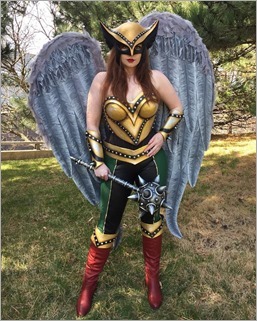 Finishing up Valkyrie from Marvel right now! Hopefully some larger projects! My next large convention after NYCC will be Katsucon in February. 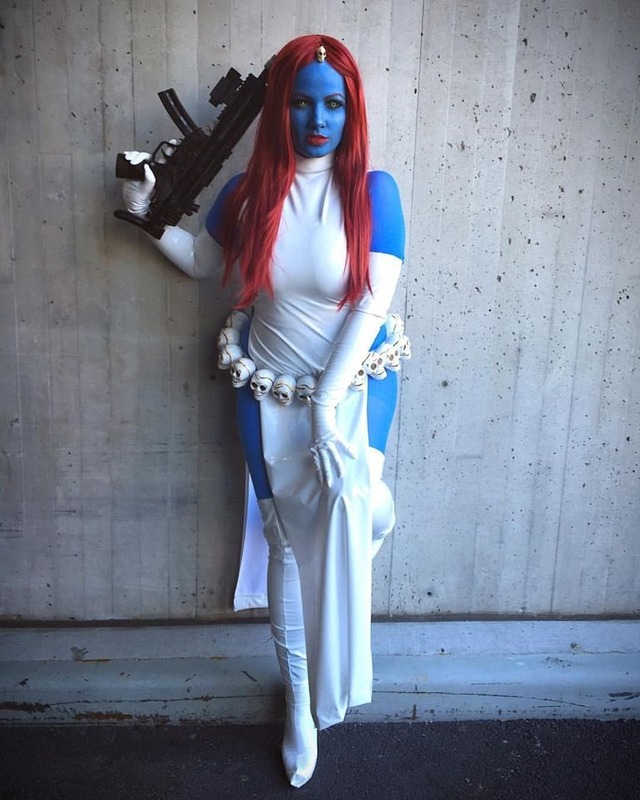 Thanks for the interview Elena Blueskies Cosplay! Promoters: For booking or signing info, contact her here. 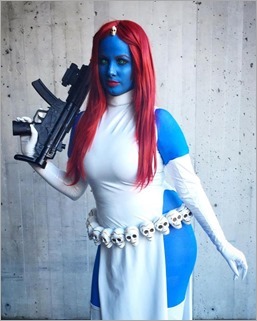 This lady has an impressive cosplay style!